This is the one you have been waiting for! Beautiful Executive Home overlooking hole #4 of Black Bear Golf Course! Big corner lot on a cul-de-sac with gorgeous views & a great backyard. 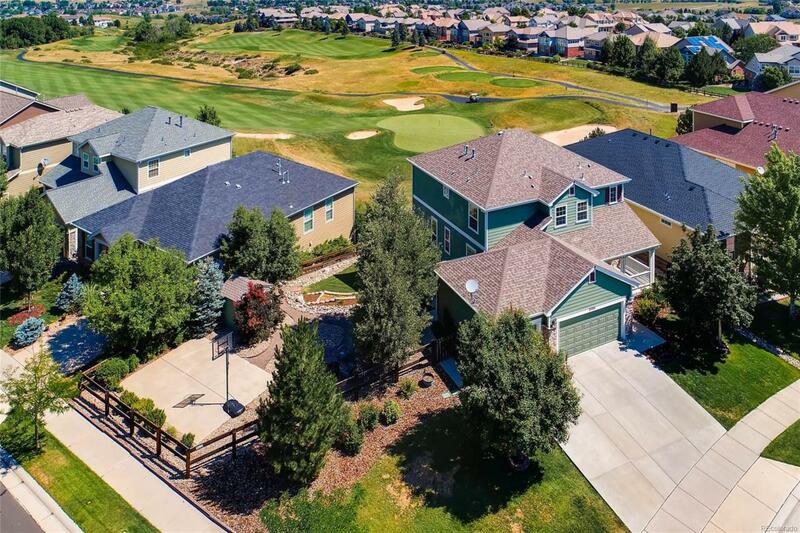 Brand new completely remodeled kitchen is stunning with hickory cabinets & quartz counters and opens the house up to see the golf course views all the way from the front door for that extra WOW factor. Great entertaining house with open concept kitchen/living/dining, huge lighted deck & finished walk out basement with rec room & wet bar. Private Master retreat with vaulted ceilings overlooking golf course & spacious en-suite 5 piece bath. 6 bedrooms total plus formal study. Hand-scraped wood laminate floors and new carpet on main and in basement. New lighting, new paint & newer water heater. Large 3 car garage with loads of built in storage and exterior access door. Great location close to schools, parks, pool, tennis courts, and golf in highly desired Legend HS feeder neighborhood. Wont last long!